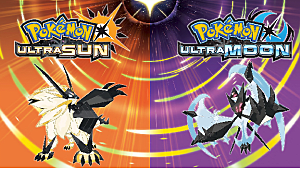 It's been quite some time since the release of Pokémon Ultra Sun and Ultra Moon now, and a lot of people are saying that these two titles rank well up there with some of the all-time best for this legendary series. Throughout the years, mainline Pokémon games have went through an evolution of being linear and one-track to almost open world. In the Ultra games, you can run around and do as your heart desires. Enjoy the game and your surroundings. There's no need to rush to the final battle, but once you do get there, have no fear. 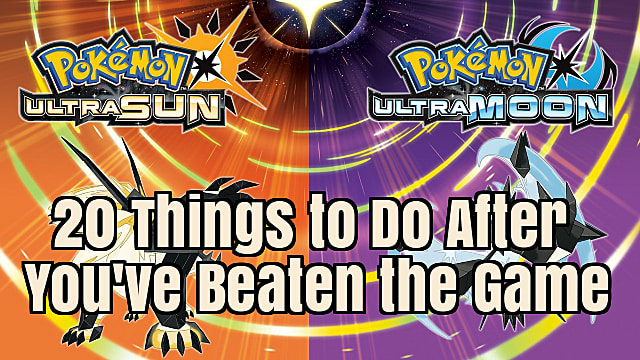 Even after beating Pokémon Ultra Sun or Ultra Moon, there's a ton of things left to do in the post game. I recently created a complete guide on how you can do this! Obtaining these two items as early as you can is a great way to supercharge your postgame adventures. Once you have them, breeding some of the rarest and best Pokémon in the game will be significantly easier. Once you reach the postgame, you'll be able to encounter Faba once again on the first floor of Aether Paradise. 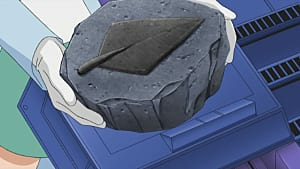 This time when you beat Faba, you'll be rewarded with the Dubious Disc. This is an item that will help you get your hands on Porygon2 and Porygon-Z. The Festival Plaza is one of the most fun experiences for new Pokémon players, and grinding through it to earn Festival Coins will actually prove really rewarding in terms of the benefits you'll get from the items you can then purchase. Although the Festival Plaza can be leveled beyond 100, at this level you'll have unlocked all of the available features. Levels beyond 100 are kind of just the cherry on top. Unlocking each style is as simple as defeating certain trainers or reaching specific ranks throughout the game. To reach these Tapu Pokémon however, you'll need to be keen to solving the puzzles that await you at their ruins. If you end up KOing or failing to catch any of the Tapu Pokémon, you'll need to defeat the Elite Four of the Pokémon League. Come back to the ruins and then the Tapu Pokémon should have respawned. Getting Type: Null in Pokémon Ultra Sun and Ultra Moon is actually pretty easy. Once you beat the game, go to Poni Island and you'll find Wicke and Hau talking. Wicke will give you Type: Null by request of Gladion, and on top of that she'll give you a stack of Memory Drives! 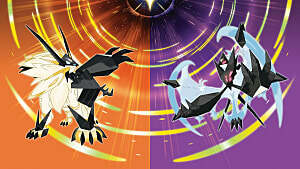 To get Cosmog, you're first going to need to catch Solgaleo or Lunala (depending on your version of the game) and have them in your party. When you have the Pokémon available to your version and you've beaten the game, you want to go to the Altar of Sunne or the Altar of Moone either at day or night (again, depending on your version of the game). When you get there, enter the Reverse World. When in the Reverse World, make your way to the Lake of Sunne or the Lake of Moone (at Ula'ula Island). There, you'll find Cosmog and he'll join now. Scan the one for your region. When done, head to the Antiquities of the Ages shop inside of the Hau'oli City Shopping Mall on Melemele Island. When you arrive, a delivery man will give you a Magearna. Magearna starts at level 50, comes with the Soul Heart ability, the Flash Cannon, Fleur Cannon, Lucky Chant, and Helping Hand moves, and a Bottle Cap. As Champion of Alola, make way to the Thrifty Megamart on Royal Avenue and talk with Kagetora behind the counter. He'll challenge you to find and defeat the eight trainers of the Eevee evolutions. Polly (Vaporeon): Go to the Trainer School on Melemele Island. She's on the right of the third floor. Chad (Flareon): Go to Tidesong Hotel on Akala Island. He's standing against the wall. Jane (Jolteon): Go to Malie Community Centre on Ula'ula Island. She's sitting on the sofa. Ishaan (Espeon): Go to the Geothermal Power Plant on Ula'ula Island. He's watching TV in the left corner. Braiden (Umbreon): Go to the Hau'oli Cemetery on Melemele Island. He's the man by the grave at the top-left. 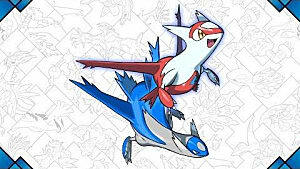 Rea (Glaceon): Go to Iki Town on Melemele Island. In the far left house, she's the lady in the kitchen. Linnea (Leafeon): Go to Hano Grand Resort on Akala Island. Instead of going inside, go right at the beach and follow the sea northwards. Go around the docks and she's the young girl there. Kira (Sylveon): Go to Seafolk Village on Poni Island. 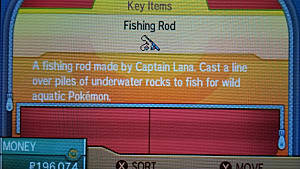 At the bottom-right of the Steelix boat, she's the young girl. Once you've defeated them all, head back to the Thrifty Megamart and you can fight Kagetora and his level 57 Eevee. Upon winning, you get the Eevium Z Z-Crystal. The Battle Buffet creates an interesting little minigame out of both battling and trying out food in Pokémon Ultra Sun and Ultra Moon. Once you've beaten the game, you can finally enjoy it to your heart's content. Every time you eat and battle here, you rack up experience, Poké Dollars, and some pretty useful prizes like Max Revives and HP Ups. The Poké Pelago is a place where you can do all sorts of things with the Pokémon in your PC boxes, including picking berries, training, minining, egg hatching, and snacking on Poké Beans. With so many things available to do in this game mode, it's really worth a revisit if you weren't able to spend time here before. If you find yourself really enjoying the features of Poké Pelago, you're going to want to develop the islands to make your work there even more fruitful. Each island can be raised up to its third phase of effectiveness. 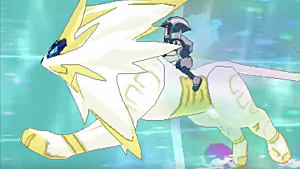 Mantine riding is the new PokéRide style feature in Pokémon Ultra Sun and Ultra Moon. The beaches on Melemele, Akala, Ula'ula, and Poni islands give you access to obstacle-filled courses where you can hone your skills. Earning points while riding through these courses is dependent on doing various moves. Getting a top score at each of the beaches will reward you with special new moves, like the Starmie 720, Magikarp Splash, or Primaria Twist. If you get the top score at all four of these beaches, you'll learn the Over-the-Gyrados move and you'll receive Surfing Pikachu. Surfing Pikachu is a special version of Pikachu that knows Surf. To unlock the Judge function, first hatch 20 eggs and then visit the IV Judge at the Battle Tree. Speak with him and he'll give you access to it. The Judge function allows you to determine the IVs of your Pokémon. These influence statistics like HP, Attack, Defense, and so on. 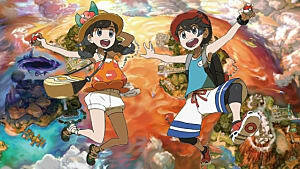 As in many previous versions of Pokémon, in Pokémon Ultra Sun and Ultra Moon you can challenge Pokémon Masters Red and Blue. Head to the Battle Tree on Poni Island after you've beaten the game and you can find them. These battles are some of the most exciting in the game. 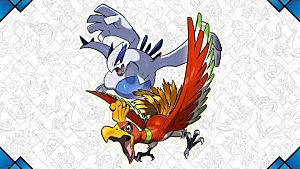 Choose a fight against Red if you're looking to fight Pokémon at higher levels, but choose Blue if you want to go up against Pokémon at the highest evolutions. Collecting all 100 totem stickers will unlock all six of the Totem Pokémon in the game when brought to Professor Samson Oak. Luckily for you, we have a full screenshot guide of all 100 totem stickers in Pokémon Ultra Sun and Ultra Moon. In Pokémon Ultra Sun and Ultra Moon, the majority of Z-Move Crystals can be picked up through the Island Trials. 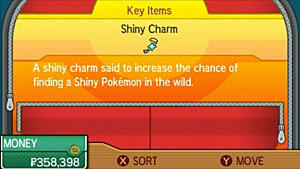 However, the Pokémon-specific Z-Move Crystals are a lot more difficult and time-consuming to get your hands on. These crystals unlock some of the most powerful moves and hype cutscenes in the game, so it's worth your time to try to pick up all of them. With 100 in total, collecting all of these is going to take a lot of time. What better time to do it than when you're completed the game and you're trying to fully trick-out your Pokémon? Not all moves come in TM form, but picking up all of these is definitely going to benefit your arsenal as a trainer. Last but not least, how could you go through Pokémon Ultra Sun or Ultra Moon without playing through the Team Rainbow Rocket arc? 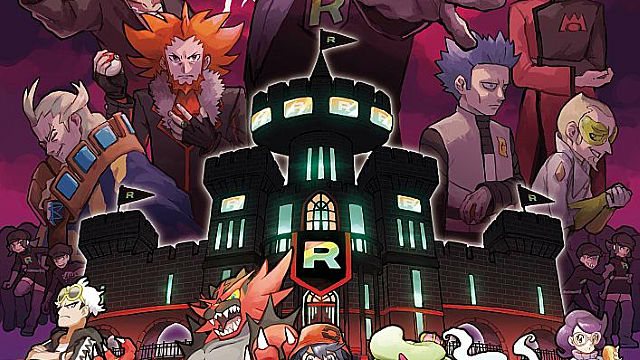 Although it is technically part of the postgame, this Team Rocket revival story plays like a neccessary extension of the Ultra Sun and Ultra Moon. You won't want to miss it. You'll go from the Festival Plaza all the way to Aether Paradise trying to shut down this evil crime organization, and it's on you as the Champion of Alola to do just that. Team Rainbow Rocket is definitely the main attraction to your postgame adventure! Don't be so fast to put down Pokémon Ultra Sun or Ultra Moon after you've beaten the game, because there's a lot of content left to be explored. Challenge yourself and just see how far you can get towards a 100% completion of the game! Pokémon games leave you feeling very satisfied and rewarded when you knock achievements off that bucket list, and this is one of the most complete post game lists out there.